If you have other food allergies or senstivities, let the staff know so they can guide you to the arepa that would be safe for you. 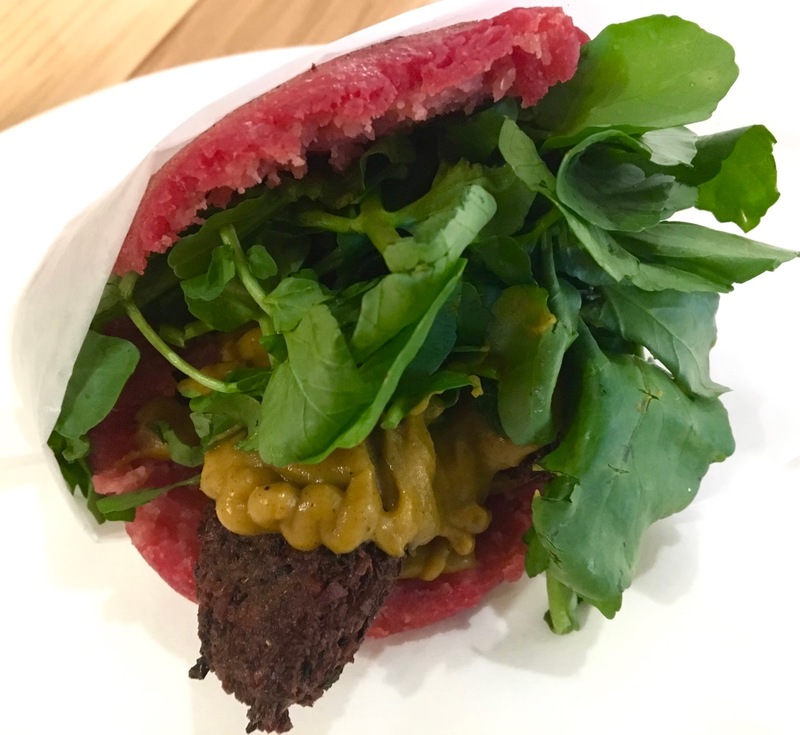 I ordered the Venezuela Does Vegan arepa, which features beans croquette, spicy butternut squash puree, and watercress between an beet arepa dough mesa. I loved the vibrant coloring of the arepa which was distinctive and quite beautiful. The arepa itself had a nice juxtaposition of flavors and textures, from the crunchiness of the croquette to the spicy creaminess of the puree. The fresh flavor and coolness of the watercress was a nice way to balance out the boldness of the other flavors. The arepa definitely kicked it up in the spice level and had my tongue dancing, but I loved every bite of it. The sandwich was top notch- and markedly different from other arepas I have had in the past. It was creative, it was quirky, it danced to a beat of its own. Packed with plant-based protein and firecracker flavor, it was satisfying, and left me excited to taste around the menu on future visits. As with any 100% gluten-free restaurant, what is incredible about eating at White Envelope Arepa Bar is that you can dine stress-free and focus on the flavors, not the potential of cross contamination. 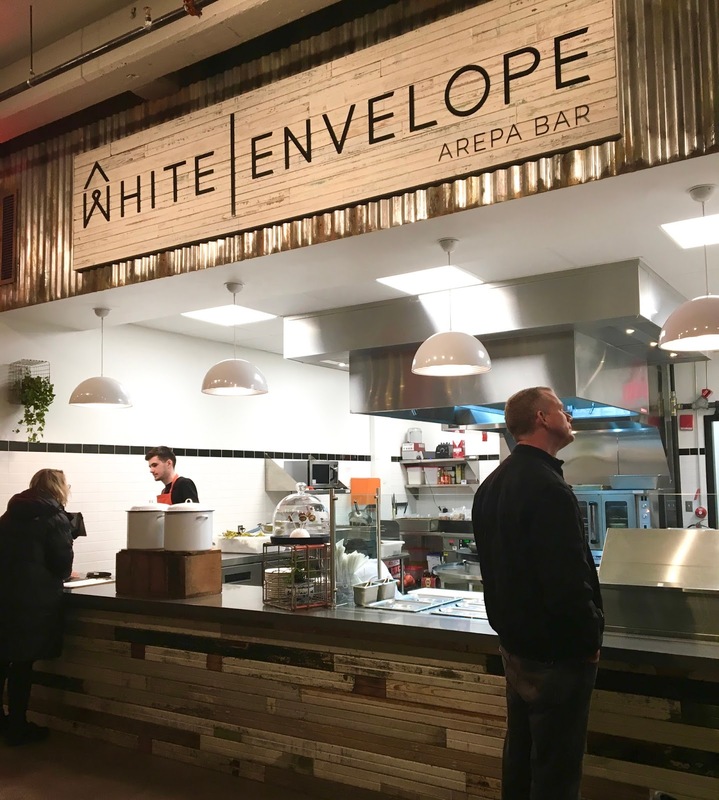 Located in an hip modern market filled with new foodie concepts, I will cheer White Envelope Arepa Bar on as they hopefully continue to grow and prosper here in Charm City. I'm in the process of going gluten free - good to know I can still have these great arepas!